At Security Dodge Chrysler Jeep Ram, we want your experience to always be positive. From the moment you step inside our showroom and find the latest RAM 1500, Jeep Grand Cherokee, Jeep Cherokee, Chrysler Pacifica and Dodge Grand Caravan models on display, we’re here to help put you behind the wheel of the right new or used vehicle for you. But, we don’t consider that the end. Our dealer offers a wide range of other services as well, which you’ll experience from the moment you choose your next car. For instance, our team of Jeep, RAM, Dodge and Chrysler lease and loan specialists make it a priority to help you drive home in the vehicle you’ve chosen on your terms. Even after you leave our dealership as a new owner we aim to please by offering comprehensive care via our car service and repair center. Buying or leasing a vehicle from us ensures that you get top-notch maintenance as we use quality certified Jeep, RAM, Dodge and Chrysler parts that you can buy, as well. It’s just another way we look out for you, and further your connection with your ride. How can you experience all this? Well, plenty of ways. 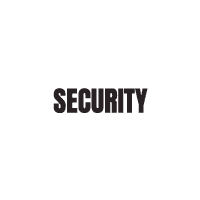 Security Dodge Chrysler Jeep Ram can be contacted online, or via phone. We also love visitors, so stop in to our showroom in person. We can be found at 345 Merrick Road Amityville, NY. We’re happy to continue the conversation, discuss new models, and answer any questions you might have.